While it’s nice to have your own website and blog for people to see your images on, it’s extra special when your images are published in a magazine, and I have been fortunate enough to have this happen twice recently. 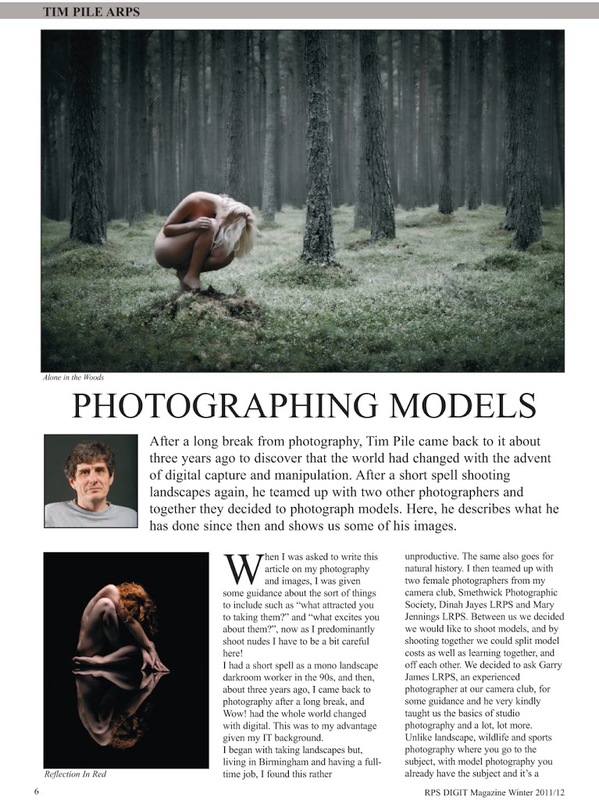 First David Cooke ARPS, the editor of the Digital Imaging Group magazine of the Royal Photographic Society, contacted me and invited me to write an article about my love of photographing models. 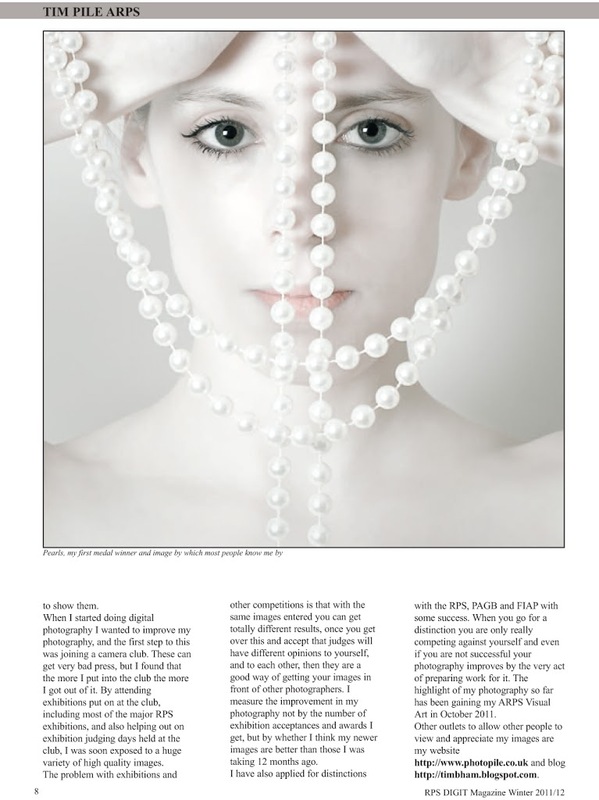 This was published recently in the Winter 2011/2012 edition of DIGIT magazine and I got a whole five pages to myself. The reproduction quality was excellent, as an example when the images Pearls and Simply Red are published in exhibition catalogues quite a bit of the subtlety of the original photographs are lost, but in this case the reproduction was spot on. The models in the images are Raphaella, Holly, Kayleigh Lush, Nanette, Ella-Rose and Fredau. 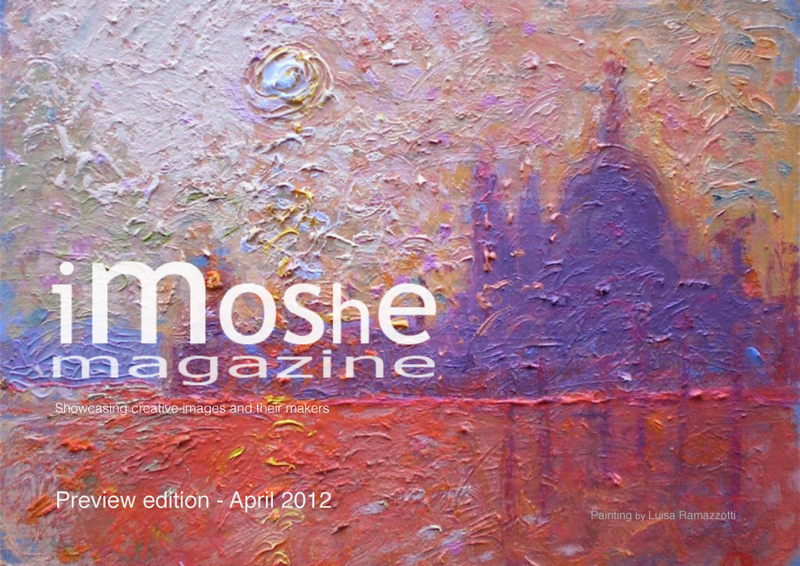 More recently I was contacted by Dave Hunt, a photographer who has shaped my photography quite significantly, to write an article for an online magazine iMoshe that he is involved in. The magazine is really very interesting as it’s about images and image-making rather than a particular medium used for producing them. As it says on it’s front page “a free eMagazine showcasing creative images and their creators … by creatives … for creatives”. I got a whopping 6 1/4 pages in this magazine, and there are some great articles and images in it. 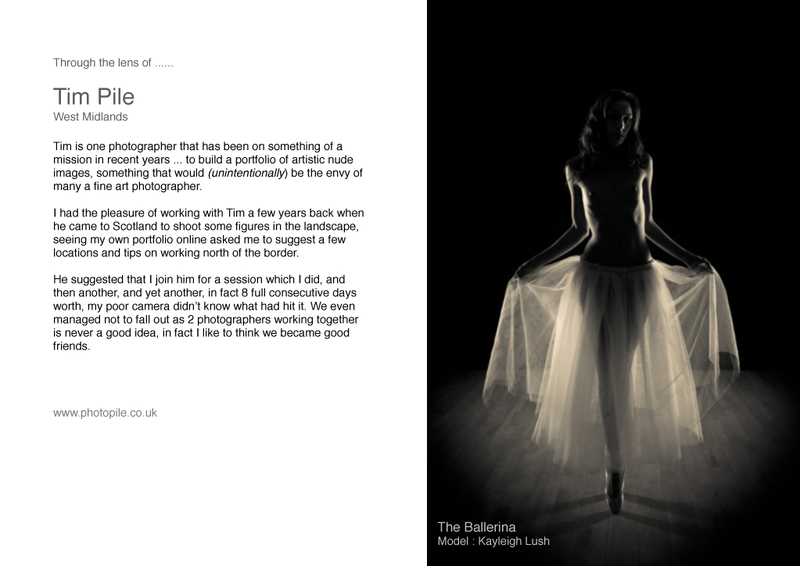 The models in the images are Kayleigh Lush, Holly, Raphaella, Tiffany Jayne, Ella-Rose and Roswell Ivory. I’ve reproduced the whole of the RPS article below for you to read, and just the front cover and first page of the article about me from iMoshe as I want you to go along and read the whole eMagazine. Many thanks to David Cooke and Dave Hunt for asking me to contribute to their publications, and for all the models concerned who created the images with me. Tim, great stuff as ever. Thanks Tim, some well deserved exposure ! Thanks everyone, two totally different types of publication, but it does give me a buzz seeing my images there for everyone to see. I’ve now got to think what else to do with my images. Suggestions welcome!